iNautia.com offers you the widest range of boat rentals in the market with a variety of destinations so you can enjoy a different type of holiday. 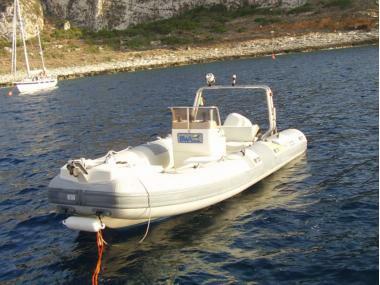 80 inflatable boats to rent, with or without a skipper. Select the start date and the duration of the rental in the search box, and choose the boat that best suits your needs. SACS S33 9.7 m from Length 12 m from Places. CAPELLI TEMPEST 775 7.75 m from Length 12 m from Places. SACS S750 7.5 m from Length 12 m from Places. Zodiac SeaHawk S700 7 m from Length 8 m from Places. Pirelli 770 7.7 m from Length 12 m from Places. Nuova Jolly king 820 8 m from Length 12 m from Places. ZAR 79 SPORT LUXURY 7.9 m from Length 12 m from Places. CAPELLI TEMPEST 600 6 m from Length 12 m from Places. MARSEA SP170 7.5 m from Length 12 m from Places. MARSEA CM120 6.5 m from Length 8 m from Places. MARSEA SP90 5.2 m from Length 6 m from Places. Infanta 6,5 6.5 m from Length 8 m from Places. CAPELLI 600 6 m from Length 8 m from Places. Capelli tempest 400 4 m from Length 4 m from Places.